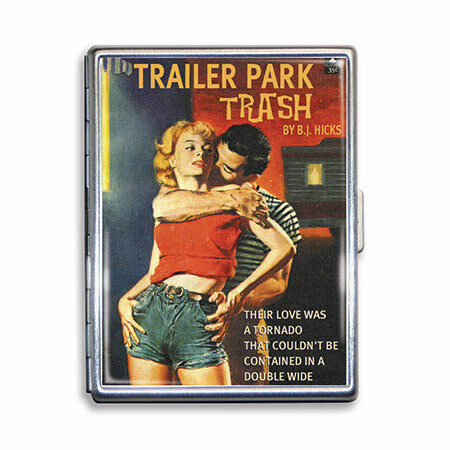 Trailer Trash cigarette case! Their love was a tornado that couldn't be contained in a double wide! Some other interesting and additional details you may be interested in: Your case will comfortably hold 9 credit cards or i.d. cards, or 20 of your business cards. 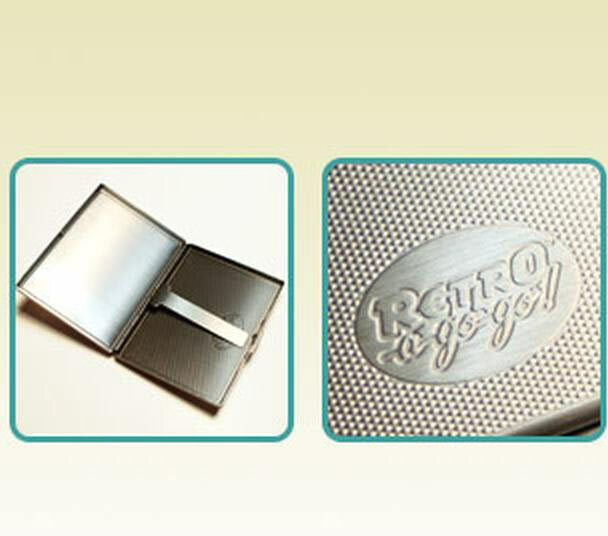 For those of us who enjoy a smoke, it holds a half pack of your favorite brand. The gentle, but effective, swing arm will secure your important items with just the right bit of strength to keep your goodies in their place.